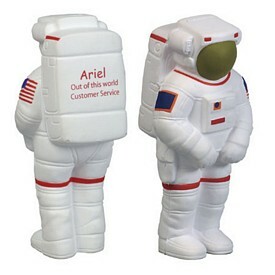 There are loads of ways in which you can attract customers. 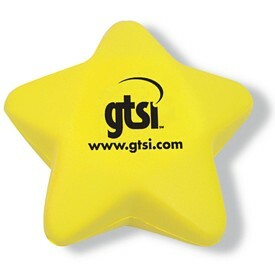 However, one of the best ways to do this is through star shaped promotional products. 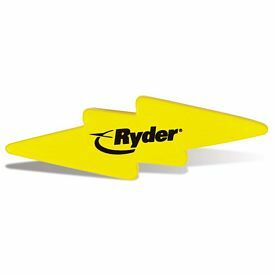 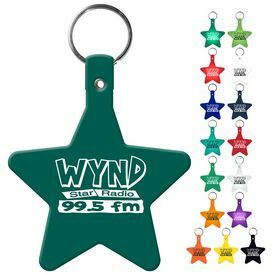 Our wide assortment of star shaped advertisement products leaves you with many ways to display your company name and logo effectively. 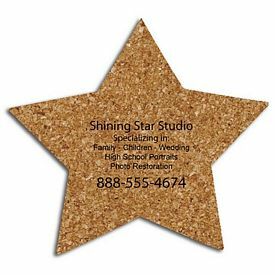 A star-shaped theme is a good way to advertise your company because it creates a promotional message in a very positive light. 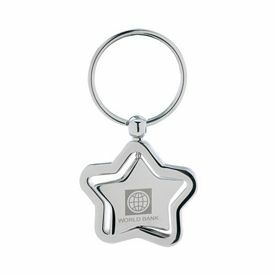 Customized star shaped products depict success and professionalism, so your company will greatly benefit from star marketing ideas. 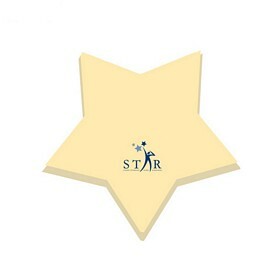 You can also show employee appreciation by providing a star giveaway or handout. 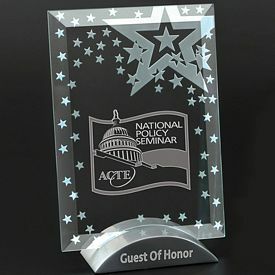 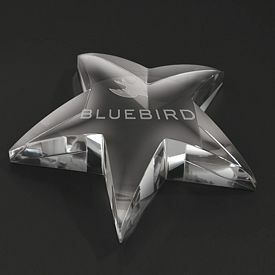 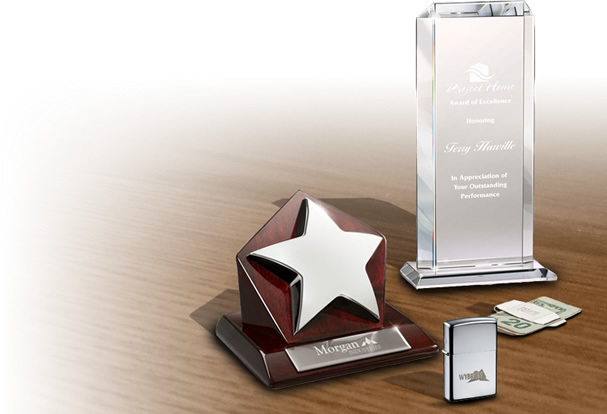 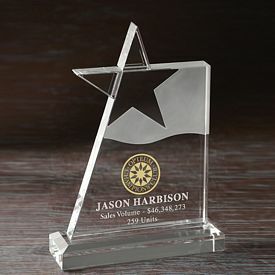 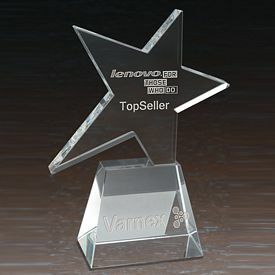 Our customized crystal awards that are created with a star design or shape look very appealing. 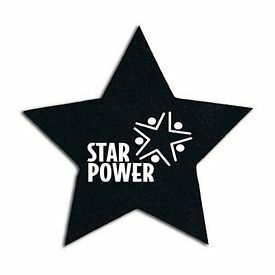 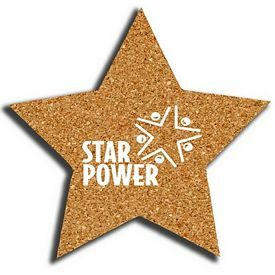 You can use customized star products to promote your company with employee appreciation awards, student awards, or simple advertising star handouts. 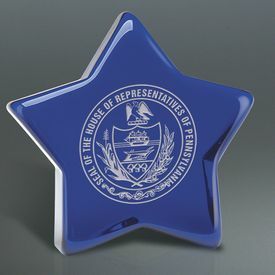 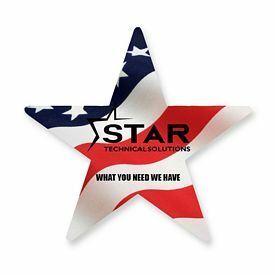 Some of our most popular custom star products at the Executive Advertising include our various kinds of star stress relievers. 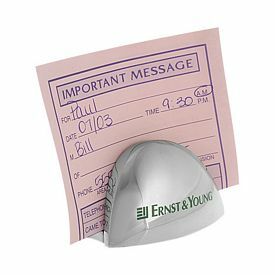 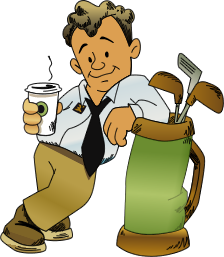 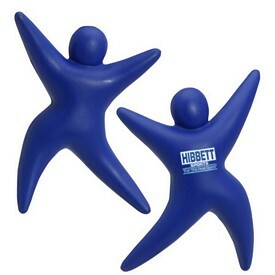 These are refreshing and fun promotional products that break the monotony of bland business gift distributions. 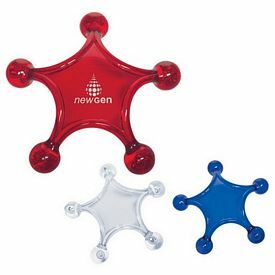 People of all ages can play with these simple toys in order to distract themselves from their stress. 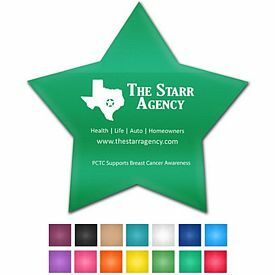 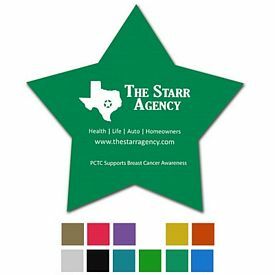 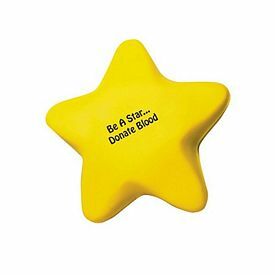 A basic yellow or gold star is the most popular choice for these star stress relievers; however, we offer other colors as well. 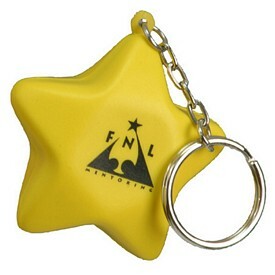 Our custom squeezable star stress reliever key chains are fun and useful products that help you keep your keys organized. 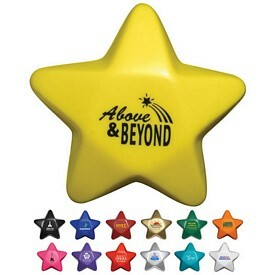 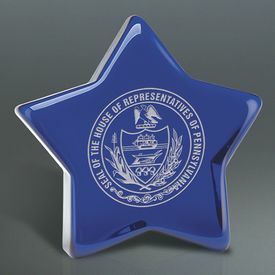 The Executive Advertising provides many different imprinted star shaped products that make your company promotion simple. 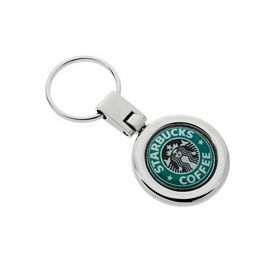 We have the trendiest and most favored advertising items, so you can never go wrong when it comes to pleasing your customers. 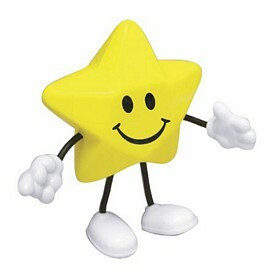 We carry are a lot of fun and cute custom star products. 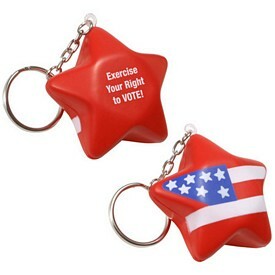 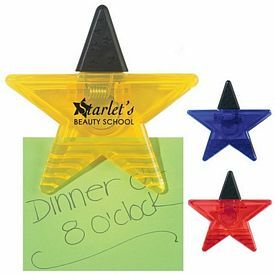 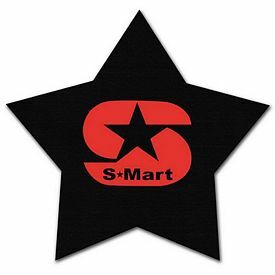 We offer promotional star shaped memo clips, star key chains, star stress balls, star pens, star picture frames, and many other star shaped promotional items. 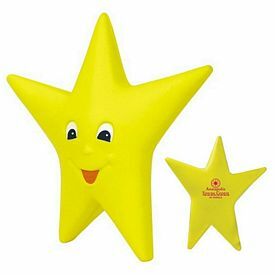 If you want your promotional gifts to be useful, then take a look at our promotional star notebooks, sticky notes, star magnets, or star blinking safety lights. 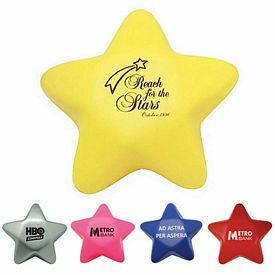 These are items of everyday use, so your company is bound to shine with these promo star products. 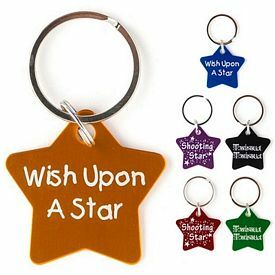 The custom star key chains with silver plating can be utilized as executive gifts as they look classy and attractive. 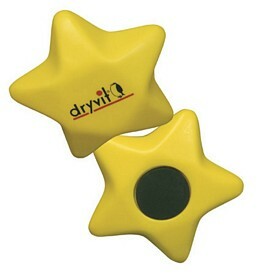 Our promotional compressed t-shirts have a star shaped packaging that will help attract customers. 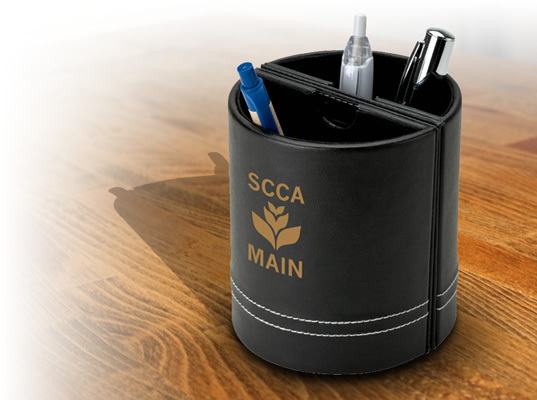 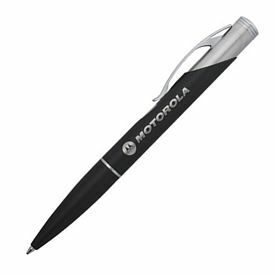 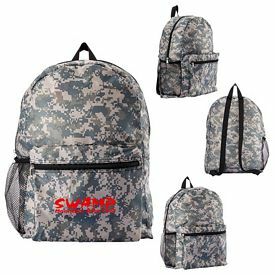 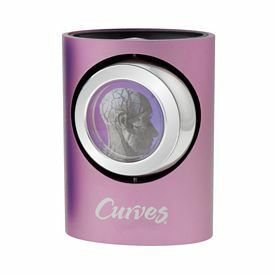 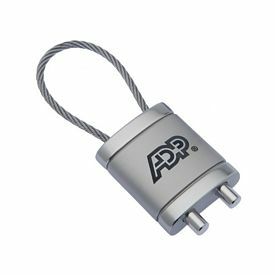 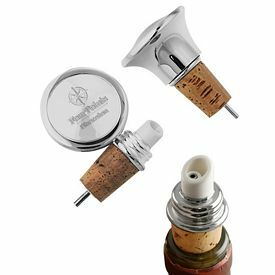 It is a nice and useful promotional gift that many people will greatly appreciate. 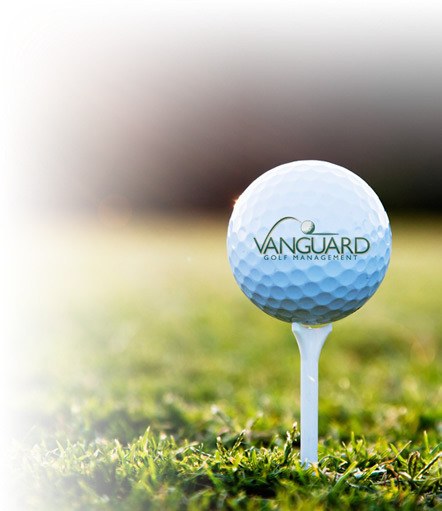 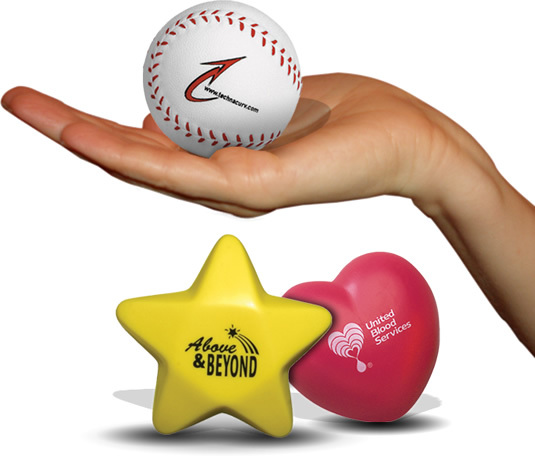 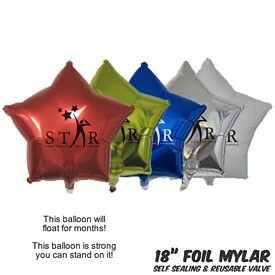 Clearly there are many enticing options when it comes to our star shaped promotional items. 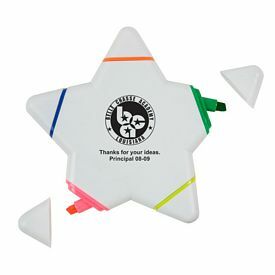 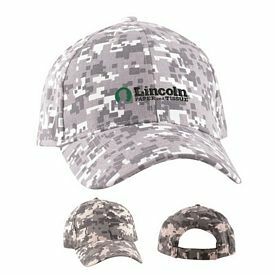 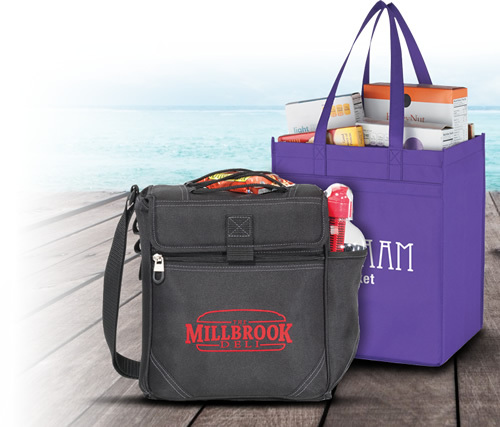 Select the customized star products that best represent your company and get started with your next promotion. 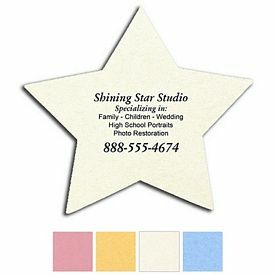 Study the age, gender, and tastes of your potential customers before purchasing the custom star products. 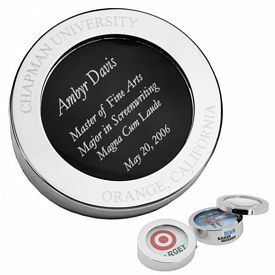 We don’t charge any setup fees on them and have various free rush production offers. 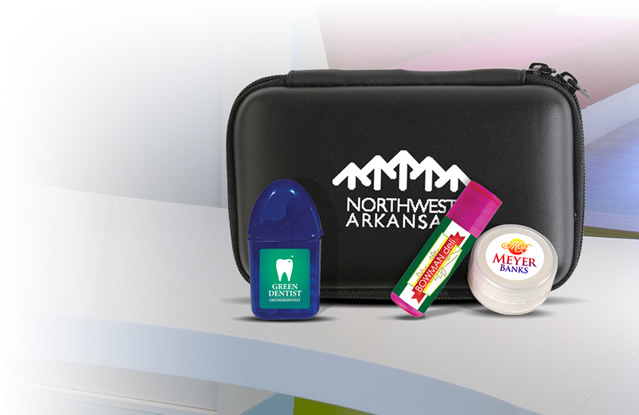 Start ordering now for an affordable and convenient way to advertise your company.